Rocco and Saphire are my dogs. I love them very much. They love to snuggle and rumble and tumble I thinks it’s very cute.They are both 2 years old and are Min. 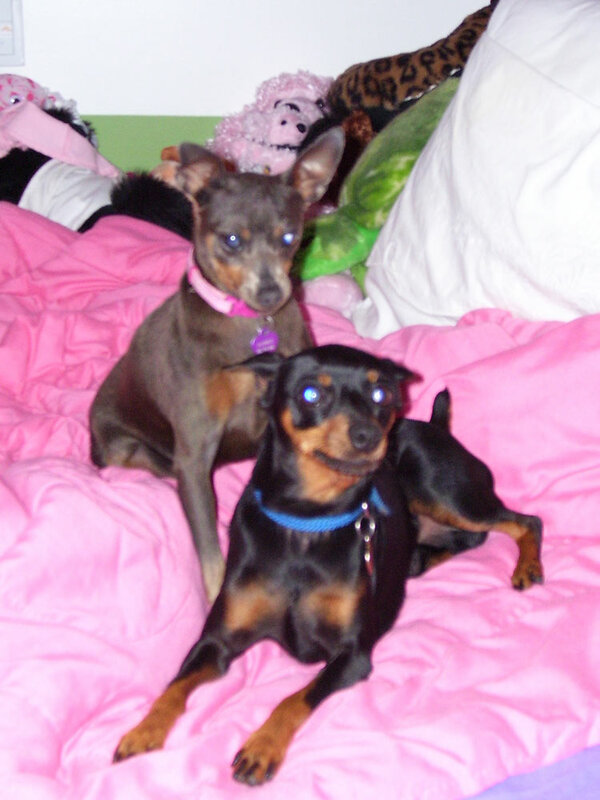 Dobermans.Rocco is black and rust and saphie is blue (gray).